Santa Fe is a shopper’s paradise! Whether you’re in the market for distinctive clothing, jewelry, home décor, or just nice souvenirs, it’s all here. Sophisticated shopping awaits at nearby Canyon Road and the Guadalupe/Railyard districts, while the Tesuque summer flea market and the farmer’s market are perfect places to find eclectic treasures and tastes. 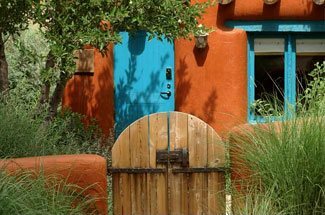 Read about the best shopping in Santa Fe. 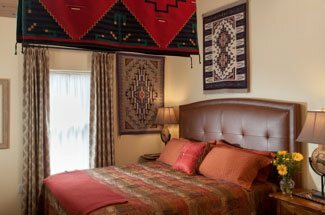 110 Don Gaspar Overland Sheepskin Co.
For even more local shopping, access our complimentary Vacation Guide.